Ontario has set the rent increase guideline for 2017 at 1.5 per cent. This figure represents the maximum amount that most landlords can raise a tenant’s rent without asking for approval from the Landlord and Tenant Board. The guideline is applicable to rent increases between January 1 and December 31, 2017. The rent increase guideline is tied to the Ontario Consumer Price Index, a measure of inflation calculated monthly by Statistics Canada that reflects economic conditions over the past year. 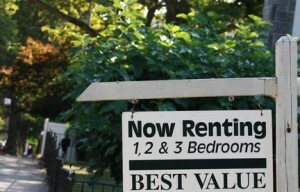 A recent amendment capped rent increase guidelines at no more than 2.5 per cent. The rent increase guideline for 2016 was 2 per cent. The guideline does not apply to vacant residential units, residential units first occupied on or after November 1, 1991, social housing units, nursing homes or commercial property.